For those of you that haven’t got to spend too much time with me: my facial hair is always changing. I get bored. Lazy. Bored and lazy. 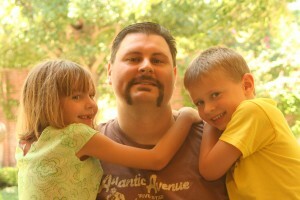 I go from clean-shaven (always with the “soul patch“) to beard to full goatee to just the Crowder goatee, etc. It’s always changing. Again, mainly because I rush out in the morning, don’t shave and the next thing I know I have a beard. I had a semi-beard at the Church 2.0 Local Forum in Santa Cruz (see pics HERE). I let it grow from there and then got tired of it. 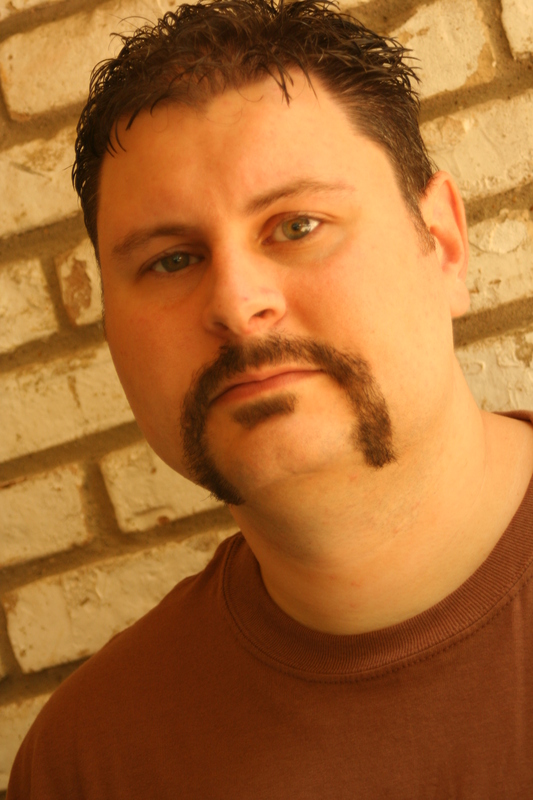 Before shaving it completely off, I had some fun and took some pics of what I call the crazy stache. It scares the kids. All kids, actually. I think people take a double-take to see if I was that guy on “America’s Most Wanted”. We took some pics, had some laughs and then I shaved it off. 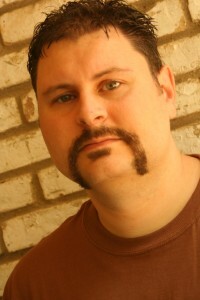 Maybe I’ll grow it back next year for Moustache May??? Who knows. For more silly pics of me with the “crazy stache”, including some of me in my new Igniter Media t-shirt and my favorite hat, go to my Flickr page and check out “Pics of Greg”. This Sunday at Bent Tree we were rocking all new SermonVideos.com backgrounds. I love them! I just got Igniter Backs 04 and look forward to working them into the mix, too. I was proud of my team. This Sunday we had a lot of first-timers. A stage manager, video engineer/shader, graphics operator and camera operator who all had their first Sunday serving. Sunday was a complex week and they handled it well. They are “official” now after going through what we did yesterday. We had some friends and staff visiting from Southeast Christian Church in Louisville, KY and Brian Davis of Fellowship Dallas. It’s always good to have people from other churches visiting and worshiping with us. Check out Brian’s blog – they’ve done some cool stuff with their stage – using PVC pipe that looks like metal. Check it! I’ll leave you with one more pic of me holding my 2 oldest kids. Katie, the youngest, was too freaked out to be in the picture. Poor girl needs counseling now.